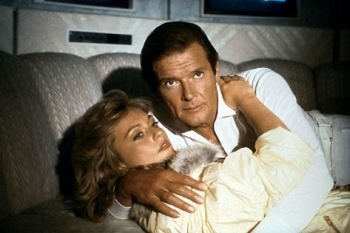 A View to a Kill is a Film programme that first aired in 1985 and has been classified a PG certificate. Spy drama in which James Bond is assigned to foil a wealthy industrialist's plot to destroy California's Silicon Valley and corner the world's microchip market. After joining forces with a seismologist, 007 races against time to stop the detonation of explosives in the Valley, resulting in a climactic battle on the Golden Gate Bridge.